This week the Trust launched a revamped version of our National Debtline website, here Rosie Thompson, Head of Digital Advice Services, explains some of the changes. Since the National Debtline website was launched in 2014, we’ve come a long way and so has technology.  In the first quarter of 2017 the site received 58% more visits from mobiles compared to last year, showing that people are comfortable accessing debt information and advice on the move. Stats from Ipsos Tech Tracker in the last quarter of 2016 also showed that smartphone ownership in the UK is now at 74%, with the top three activities being; emails (69%), social media (54%) and browsing websites (48%). We have created a mobile ‘burger’ menu and search for mobile devices, as well as further optimising the site for mobile. This means for the first time mobile visitors can navigate around the site and experience lots of our pages adjusting automatically to their screen size. Based on user-testing and survey feedback, we have given the homepage on both desktop and mobile a revamp – moving to a more streamlined colour palette and cleaner layout. We have also enabled users to load their previously saved budgets from the homepage for the first time, meaning repeat visitors can easily come back to the site and access their information. Sitting alongside this work we have also revamped the layout for our fact sheets on both the National Debtline and Business Debtline websites significantly improving them on mobile devices. These fact sheets provide key information on a range of debt topics, some of which can include a lot of detail so it was crucial that the site worked to display this information in a concise and easy to navigate way. All of this should better help many people in need of debt advice to get the information they need quickly and at a time that suits them, understand more about their and their creditors’ rights, know the next steps they need to take and then go on to negotiate with creditors themselves or explore more formal options to address their debts. We will be launching further developments throughout the year, including an update to our My Money Steps tool, so watch this space, and will ensure we continuously improve and respond to user experience needs. 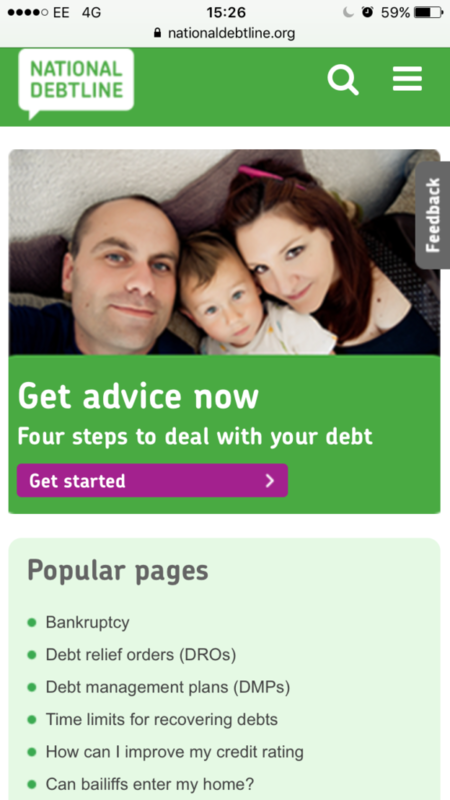 Over the coming weeks, this will also include a new look and mobile navigation for our Business Debtline website. Any feedback is, as ever, most welcome.